The NAILBA Charitable Foundation is the philanthropic arm of the National Association of Independent Life Brokerage Agencies (NAILBA). 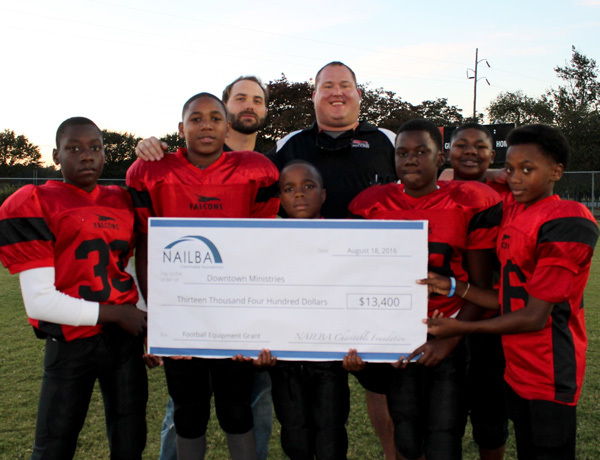 Since 2002, The Foundation has encouraged volunteerism and provided grants for charitable programs in the communities of NAILBA's member agencies and corporate partners. Funds are awarded to organizations that serve to enhance the quality of life for those less fortunate, with a special emphasis on children. At the event held in November 2016, Legal & General America sponsored a $5,000 prize for a drawing and offered to match $50 donations until the total hit $25,000. The promotion raised $45,750; Steve Katz, of Premier Brokerage Services, won the $5,000 raffle prize and generously donated the money back to the Foundation. LGA's matching funds brought the full amount raised to $75,750! Through the generous donations of NAILBA member agencies and carriers, the Foundation was able to award $220,000 in grants to local charities and other nonprofit organizations in 2016.